This is a map of electricity-generating power stations in California, sorted by type and name. List of very large (>100MW) solar photovoltaic power stations in California as of January 1, 2019. To update and expand this list, search the Energy Information Administration's plant-level data set by visiting the Electrity Data Browser. Alternatively, view the Solar Industry Association's Major Solar Projects List which is less frequently updated. List of current solar thermal power stations in California. ^ "Actual and Expected Energy From Coal for California" (PDF). California Energy Commission. 3 November 2016. Retrieved 3 November 2016. ^ "Electricity Data Browser: Argus Cogen Plant". US Energy Information Administration. 2018-03-01. 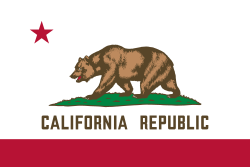 ^ a b c d e f g h i j k l m n o p q r s t "Database of California Power Plants". California Energy Commission. 6 November 2012. Retrieved 26 November 2013. ^ "AES Alamitos LLC Gas Plant". Global Energy Observatory. Retrieved 10 May 2014. ^ "NRG Generation Assets" (PDF). NRG Energy. 12 December 2012. Retrieved 26 November 2013. ^ California Energy Commission. "La Paloma Generating Power Plant Project". State of California. Retrieved 27 November 2013. ^ "Moss Landing Power Plant". Global Energy Observatory. Retrieved 10 May 2014. ^ "Otay Mesa Power Plant Licensing Case". California Energy Commission. State of California. 3 October 2009. Retrieved 15 January 2013. ^ "NRG Generation Assets". NRG Energy. 30 June 2013. Retrieved 26 November 2013. ^ "AES Redondo Beach LLC Gas Plant". Global Energy Observatory. Retrieved 10 May 2014. ^ "SMUD Cosumnes Power Plant Licensing Case - Docket # 01-AFC-19". www.energy.ca.gov. Retrieved 2016-08-01. ^ "Lake Almanor 93-003 Dam". Geographic Names Information System. United States Geological Survey. ^ "Project Facts". Retrieved November 2, 2012. ^ "Indian Valley Dam Hydro Project". Retrieved November 4, 2012. ^ "Aqueduct Power Plant". Los Angeles Department of Water and Power. Retrieved 2014-06-14. ^ Alejandro DaVilla (12 January 2013). "Wind turbine blades spin in Ocotillo". Imperial Valley Press. Retrieved 5 February 2013. ^ "Ocotillo Wind Energy Facility (CACA 051552)". El Centro Field Office. Bureau of Land Management. 15 January 2013. Retrieved 5 February 2013. ^ "Avangrid Renewables — About Tule Wind". Retrieved 2017-10-28. ^ "Tule Wind Energy Project". Retrieved 2017-10-28. ^ Onell R. Soto (13 January 2010). "Wind farm: A damaging blow". San Diego Union Tribune. Retrieved 5 February 2013. ^ Michael Connolly. "Kumeyaay Wind Energy Project" (PDF). Tribal Energy Program. U.S. Department of Energy. Retrieved 5 February 2013. ^ a b c d e f "Geothermal Power Plants in the USA". Gallery. Power Plants Around The World. 29 November 2013. Retrieved 10 May 2014. ^ "Heber Geothermal Plant". Global Energy Observatory. Retrieved 10 May 2014. 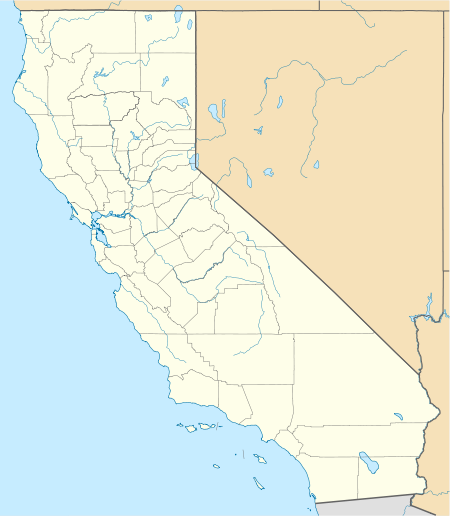 ^ "Calistoga Geothermal Power Plant". Global Energy Observatory. Retrieved 10 May 2014. ^ "West Ford Flat Power Plant Geothermal Plant". Global Energy Observatory. Retrieved 10 May 2014. ^ a b c d e f g h i j k l m n o p q r s t u v w x y z aa ab "California Biomass Power Map". UC Berkeley Woody Biomass Utilization Group. Retrieved 21 July 2014. ^ Tony Perry (2 February 2013). "Chula Vista says goodbye to a '50s-era power plant". Los Angeles Times. Retrieved 5 February 2013. ^ "RANCHO SECO-1". Power Reactor Information System. International Atomic Energy Agency. Retrieved 10 May 2014. ^ "HUMBOLDT BAY". Power Reactor Information System. International Atomic Energy Agency. Retrieved 10 May 2014. ^ "Southern California Edison Announces Plans to Retire San Onofre Nuclear Generating Station". SCE Newsroom. June 7, 2013. Retrieved 13 January 2014. ^ a b c d "Coal-Fired Power Plants in California & Nevada". Gallery. Power Plants Around The World. 3 May 2014. Retrieved 10 May 2014. This page was last edited on 19 February 2019, at 19:24 (UTC).